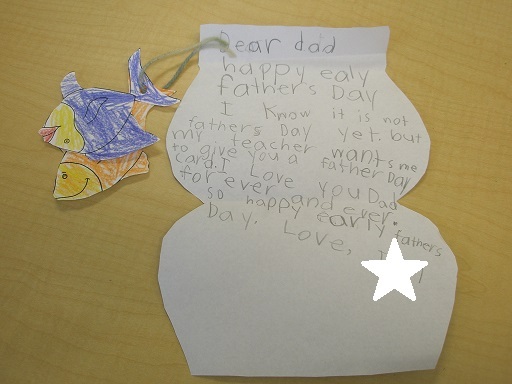 A - B - Seymour: Father's Day Pics, Freebie, and a Giveaway! I know Father's Day doesn't happen during the school year for most so we celebrated a little early this year. We made these adorable Father's Day cards from Crayonbox Learning. 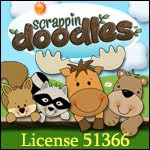 You can click on the picture to go download this adorable FREEBIE! I know that many kiddos don't live with, have, or know their dads so we made it "Celebrate the Great Men in our Lives Day" so we could include grandpas, uncles, and brothers too. These fish are in school colors! This kiddo wanted to make sure Dad looked on the back of the fish and included a little note that said 'look underneath me". This turned out to be a great way to keep this kiddo focused on cutting and not chatting. He thought it was hilarious that I passed out his fish on his head. He even managed to walk to the trash can with it there! 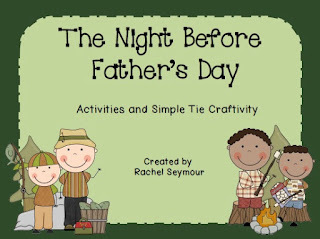 This is my Night Before Father's Day pack that I have for sale in my TpT store! If you would like to use this pack this year or next year, leave a comment with your email below and I will send it to the first 3 people who do! 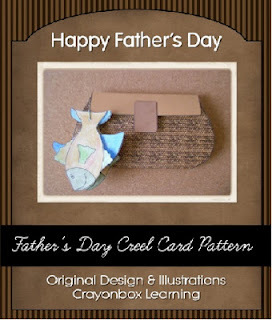 I have included other templates for the Father's Day book to include grandpa's, step-dad's, and uncles too! Would love to use it this week!